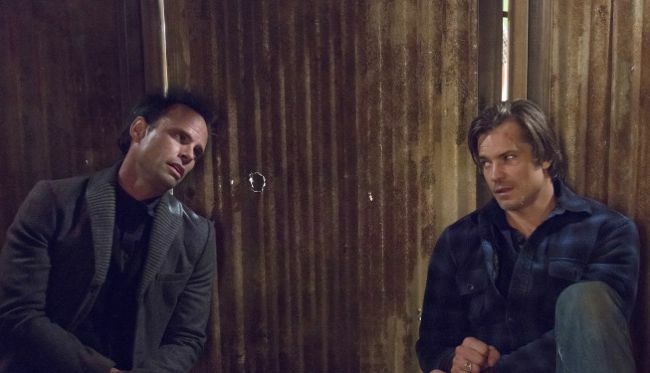 The mystery of Drew Thompson heats up with the first meeting this season between Marshal Raylan Givens (Timothy Olyphant) and career criminal Boyd Crowder (Walton Goggins). How they end up together is pretty funny and unexpected. The episode starts where we left of, as Colton (Ron Eldard), who was sent out on the grisly mission of killing Ellen May (Abby Miller) to keep her quiet about a murder she and Ava committed, tries to find out how she disappeared at the end of the last episode. Using his expired Military Intelligence ID Colton reviews the cameras at the rest stop and sees a sheriff car pulling away, and figures she was picked up by a deputy. By the episode’s end we learn that it’s Sheriff Shelby Parlow (Jim Beaver) who has Ellen May, and he plans to use what she knows to bring down Boyd Crowder. Meanwhile, Arlo (Raymond J. Barry), Raylan’s dad, has cut a deal to give up the whereabouts of Drew Thompson. If the feds can get Thompson, they’ll be able to get big time mobster Theo Tonin (Adam Arkin) on murder. For his help, Arlo gets to walk on his murder charge. 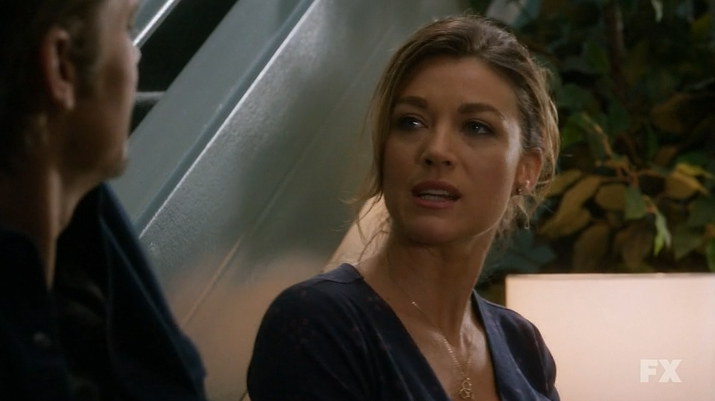 There’s a surprise visit from Raylan’s ex-wife Winona, who is pregnant and has moved out of town (so that Natalie Zea, the actress who plays her can be on the new Kevin Bacon series The Following). It’s good to see that she’ll be playing out her role on this series, at least for a while. For his part, Raylan is already being a pretty crappy dad, and the kid’s not even born yet. Furious that his dad might be able to walk out of his murder conviction, Raylan decides to track down Drew Thompson himself. 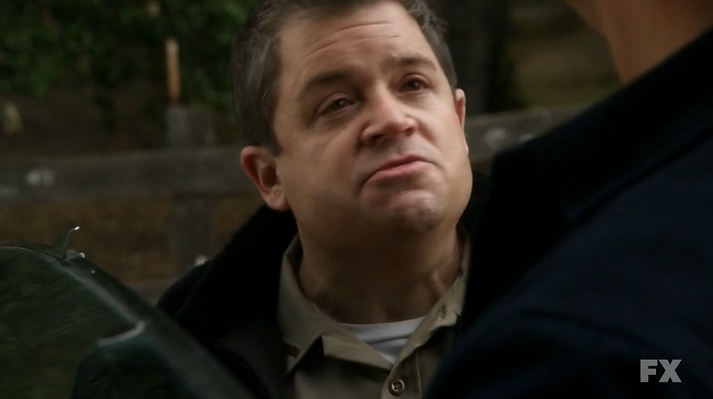 This brings him back to Constable Bob, played by Patton Oswalt, and to the junkie girl who originally broke into Arlo’s house and set off the events that put Raylon onto the mystery of Drew Thompson in the first place. She points Raylan to her stepfather, Josiah Cairne (Gerald McRaney), who wears an ankle monitor to prevent him from leaving his property as part of his parole. Josiah sends Raylan to the Hill People, who he claims sheltered Drew Thompson when he jumped out of the plane after faking his own death. I know, the mystery is confusing, but just go with it, because it pays off good in this episode. Meanwhile, Theo Tonin, who has moles in the FBI, arranges to track down Drew Thompson himself before he’s caught. To accomplish this goal Theo reaches out to Win Duffy (Jere Burns) of the Dixie Mafia, who reaches out to Boyd Crowder, who takes the case. Win Duffy and Boyd Crowder don’t like each other much, and they’re relationship is of the kind the NRA might appreciate, in the “an armed society is a polite society” sense. 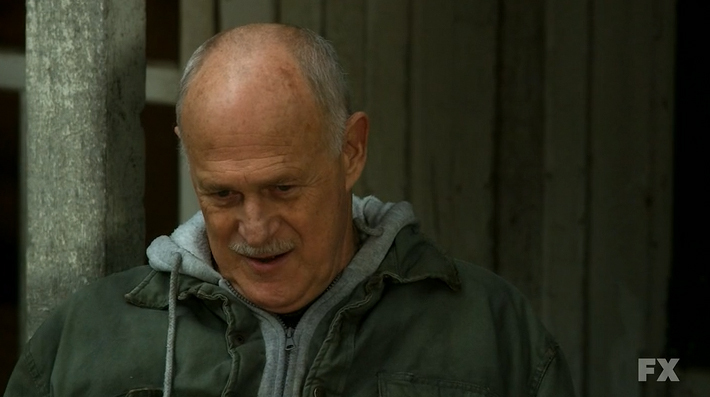 Boyd: Well, Perestroika happened at the same time. So Raylan heads out to meet the Hill People, who Constable Bob fears will cook and eat him. Sure enough, Raylan doesn’t get far into Hill people territory before he’s taken prisoner and thrown into Hill People jail, with Boyd Crowder. While Raylan and Boyd get reunited in Hill People jail, their respective backups Marshall Tim and Colton wait at the bottom of the hill, getting to know each other in an armed and polite way. Raylan asks why Boyd would be working against Arlo’s release and for the mob. Boyd cynically replies, “Whole world’s a tree, Raylan, I’m just a squirrel trying to get a nut.” Boyd is really quotable. Fortunately, Raylan turns out to be related to the Hill People through his mother, and this purchases both his and Boyd’s lives. It also gives him some important info on the identity of Drew Thompson. He’s hobnobbing with governors and state senators. 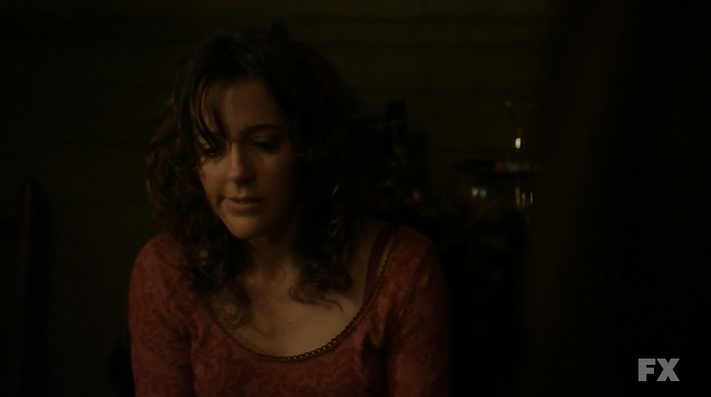 As Raylan’s aunt tells him, “You’re on the wrong hill.” She doesn’t know his name, but knows his social circle. 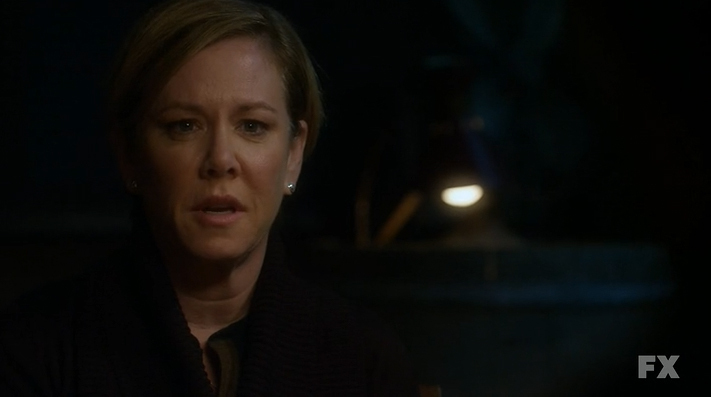 Boyd ends the episode paying off Arlo’s lawyer (Romy Rosemont) to kill his plea deal. She takes the money with a smile, but there’s also the chance she might know the identity of Drew Thompson as well. It all depends on how much Arlo trusts her. 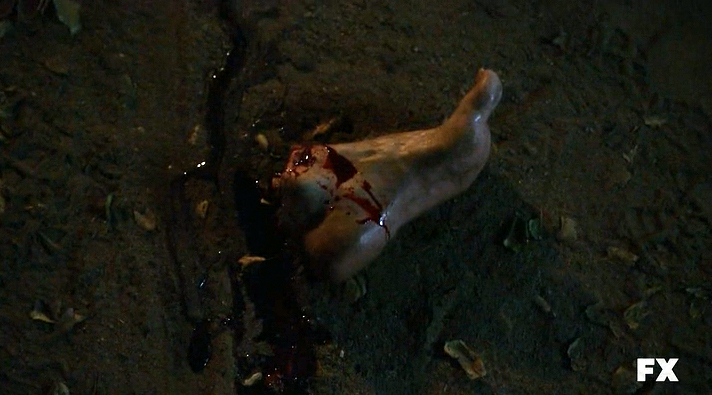 Raylan heads back to the house of Josiah Cairne, planning to revisit his conversation about Drew Thompson, only to find the man’s ankle monitor and hacked off foot. That’s one way to beat LoJack, I guess. FRANKIE THIRTEEN Chats With Comic Legend JERRY ROBINSON!